By Scott Gilfoid: WBA light heavyweight champion Beibut Shumenov (12-1, 8 KO’s) is interested in facing WBO light heavyweight champion Nathan Cleverly (23-0, 11 KO’s) in a unification bout in Las Vegas, Nevada after Cleverly gets through with his title defense next month against American Tommy Karpency (21-2-1, 14 KO’s) on February 25th at the Motorpoint Arena, Cardiff, Wales. Shumenov previously offered Cleverly a fight in Vegas last year but was ignored. Shumenov was taken by surprise recently to see a press release sent from Cleverly’s management saying that they had offered Shumenov a fight but he was unable to take the fight because he was busy. Shumenov’s advisor than sent out his own press release, saying that they were never contacted back by Cleverly’s people after offering them a fight. Cleverly could be facing Shumenov next month but instead is taking another light touch. Supposedly, Cleverly is interested in facing Shumenov this year, along with 47-year-old WBC light heavyweight champion Bernard Hopkins. The Hopkins fight is what Cleverly really wants but likely won’t get because Cleverly won’t bring in any fans if he fights Hopkins in the U.S. That’s Cleverly’s fault because he’s been fighting guys that most Americans have never heard of. Cleverly fought #13 ranked Tony Bellew in his last fight and was incredibly lucky to get a win. I saw it as a draw, and I was being very kind in scoring it that way because I actually thought Bellew won it. In the U.S, Bellew would have won because he landed the cleaner shots and that’s how fights are scored here. We don’t give wins to fighters that tap a bit more than the other guy. You got to have some power behind your punches, and sadly Cleverly is a feather-fisted fighter. That’s going to cause him to take some god awful punishment in his career because he won’t be able to stop guys early and will be forced to fight a lot of 12 round bouts. So the Hopkins won’t happen because he won’t go to Wales and risk getting ripped off, and a fight between Cleverly and Hopkins in the U.S won’t draw flies. You’d have to give away tickets on the street and even then, I couldn’t see anyone wanting to see that fight. I think Hopkins is dreaming if he thinks anyone in the U.S would even be remotely interested in seeing him beat up on a paper champion that no one has ever heard of. Cleverly had the WBO title given to him after the previous champion Jurgen Brahmer pulled out of his fight with Cleverly due to an injury. And since Cleverly picked up the strap, he’s beaten Aleksy Kuziemski in a fight where Cleverly staggered in the 4th, and really looked awful. And like I said, Cleverly got what appeared to be a gift decision over Bellew last October. With the Hopkins fight not happening, Cleverly will have to decide whether he’s up for taking a risky fight against Shumenov. My guess is no. I see Clevelry continuing to just beat the little known guys and doing the minimum when picking out his opponents so he can milk his title for as long as possible. 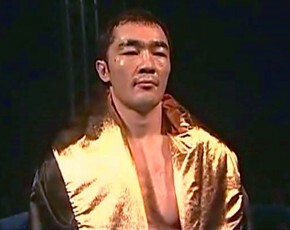 A fight against Shumenov is one that I can’t see ever happening. Shumenov is too damn good, and I don’t think Cleverly wants that. If he did, he would have fought Shumenov last year instead of Bellew or now. We see who Cleverly is facing now; another easy mark.